Growing up I have been influenced by many musicians and I have a great appreciation for music and the artists who make such wonderful songs and lyrics that touch so many and make us all listen with amazement and feel good. There are bands we come across in our life who seem to have a real influence on us for not only their music but for who they are and how they touch us. One such band that most people would name at the top of their list obviously would be the Beatles. In some cases there are bands that don't nearly get the attention and claim to fame they truly deserve. I have listened to music and been a fan of all types of rock bands and I have learned of many wonderful inspiring stories for some bands in the annals of music history and some real sad tragic stories that really make us wonder why and feel very sympathetic to them. 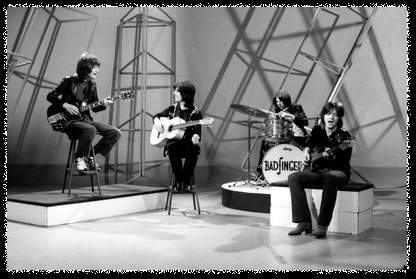 One such band that I loved as a kid and always thought their music was so beautiful and enjoyable to listen to was Badfinger that had its early start as the Iveys in 1964 with Pete Ham, Tom Evans, Mike Gibbins and Ron Griffiths. 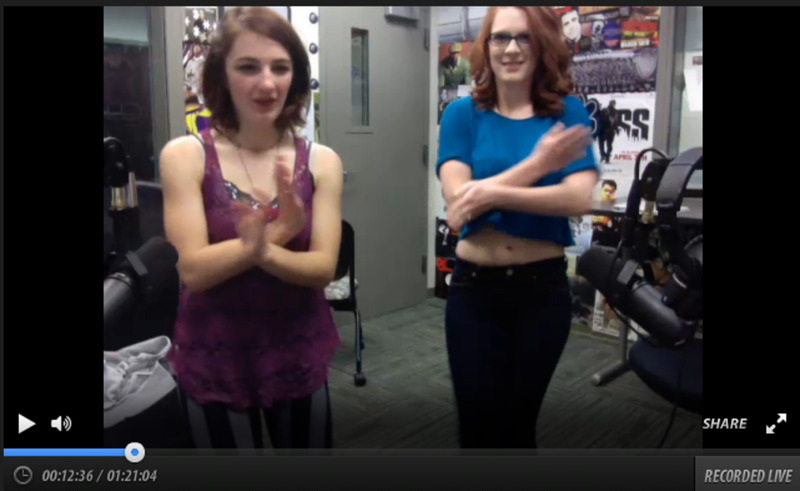 Their music had a real influence on both fans who saw them perform and other music artists who liked what they saw. The band's members were from Swansea, Wales and they formed sometime in or about 1961. Their first hit, Maybe Tomorrow was a real touching song that had a sort of melancholy sound to it yet was beautiful and charted well in many markets and was a sign of things to come for a band that had a real nice group of guys who had such talent and vision. As the band became more known to the industry and to bands in the UK they started to gain more notoriety and eventually an association with the Beatles and Apple records. This was both good and bad in ways but in the beginning was what propelled them and gave them their initial success and a following. The band released a soon to be hit, Come and Get It, that was a Paul McCartney song used for the film The Magic Christian and popularized by Badfinger and was instantly a chart topper. 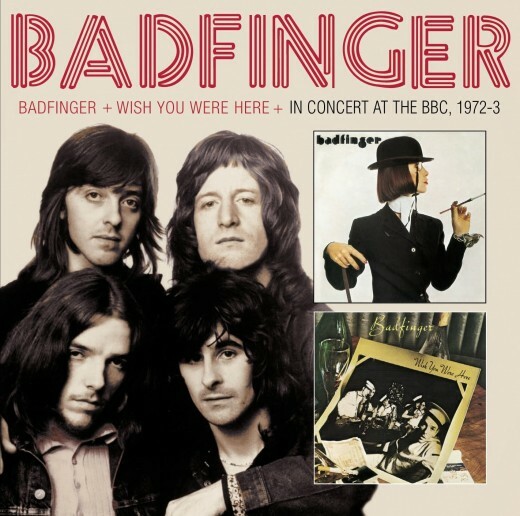 With a hit on their hands it was decided the band would perform as Badfinger which was their name throughout their performing years from 1969 through the mid 1970's and it was well received. With success comes hard work and Badfinger worked on writing and developing music that was crisp and beautiful in its sound and feel and it had a far reach and a very supportive fan base. 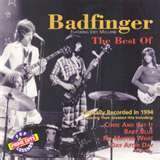 Every song I ever heard performed by Badfinger in my opinion was a truly wonderful experience. I have many of their cds and I can listen to their music for hours on end as I find their music full of emotion and beauty. I am also deeply saddened when I think back to their performances which you can see on Youtube and then read about their history and their tragic demise. 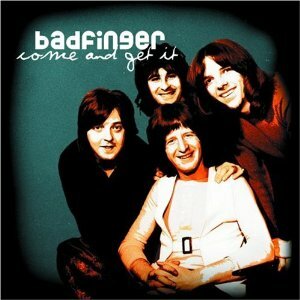 It is a story that should be told because I feel not many people know what became of Badfinger. I learned of their fate years after the tragedies and I was quite surprised and shocked. I am also angered by how this could happen and why no one could help the band members. It seemed that Pete Ham, one of the creative influences in the band had no one to turn to throughout his downturn when he most needed others in his corner. Why the Beatles were not able to help at such a dire time is such a puzzlement. Another song that proved a commercial success for the band over time was No Matter What. Sometimes there are songs that are propelled to stardom through the help of other artists and one such Badfinger song is the beautiful and always popular, Without You that was covered by another artist, Harry Nilsson, which skyrocketed on the charts and made both Badfinger and Harry household names. The song is still very popular today and has the honor of being covered by hundreds of bands. Due to the tragic demise of Badfinger the artists covering the song are very respectful and sing the song as a tribute to such a wonderful band that had such promise. In 1969 Ron Griffiths left the band to spend more time with his wife and newborn child and was later replaced with Joey Molland. The band moved into the 1970's with hope and promise and a lot of talent with its key writers Pete Ham and Tom Evans. With all it's members in place they looked forward to a long term association and commercial success. They found themselves looking for management representation and a new label as Apple records was experiencing financial troubles. They enlisted Stan Polley as their business agent and Warner Brothers as their new record label. It seemed from the start that Stan Polley was deceitful and responsible for the band's financial troubles soon to come. He was clearly taking advantage of the band members good nature and innocence and really hurt them as time would soon tell. 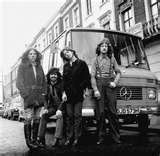 It is unclear as to why Badfinger who had such wonderful talent and promise proving it with their music and their group's dedication had been so easily led astray and not properly advised. They were like lambs led off to the slaughterhouse and by the time others realized it, it was way too late. Things seemed to go bad with the relationship with Stan Polley, the band and Warner Brothers which spiraled into a sad and tragic downturn that led to the 2 principal writers taking their lives. Pete Ham having financial worries and a pregnant wife had decided that he had had enough and having no one to turn to decided to take his life on April 24, 1975 hanging himself in his studio garage in Surrey, England. He left a note to his wife and her son stating his love for her and their baby on the way but that he had lost his trust in others and could not go on. He never had the chance to meet his daughter who was born a month later. It is such a very sad story for someone who was such a good person and had such a talent and wanted to make others happy with his music and to have a family to enjoy his life with. The band never recovered from this tragedy and their continued fighting and legal battles made it worse and with the continuing hopelessness of the situation that continued years after Pete's sad end Tom Evans decided to take his life as well during his ongoing depression by hanging himself too on November 18, 1983 in his back yard leaving behind a wife and son. I was deeply saddened when I learned of these tragedies having been a fan of Badfinger and I pray for both Pete and Tom and their families. It is a very sad story and I sometimes wonder why there was no one there to help these guys who had such talent and a tremendous gift and such wonderful families and who were wonderful people themselves. They deserved a better fate. May they rest in peace. God Bless you both Pete Ham and Tom Evans for all the good you brought to so many. We miss you and we cherish your music. Special mention is also given to Mike Gibbins, the drummer who passed away in 2005. RIP Mike, Pete and Tom. True Legends. 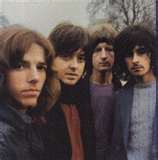 Badfinger was a Welsh rock band that originally consisted of Pete Ham, Mike Gibbins, Tom Evans and Joey Molland. The band evolved from an earlier group called The Iveys that was formed by Ham, Ron Griffiths and David "Dai" Jenkins in Swansea, Wales during the early 1960s. They were signed by the Beatles' Apple label in 1968 as The Iveys and in 1969 there were a number of changes with the group. 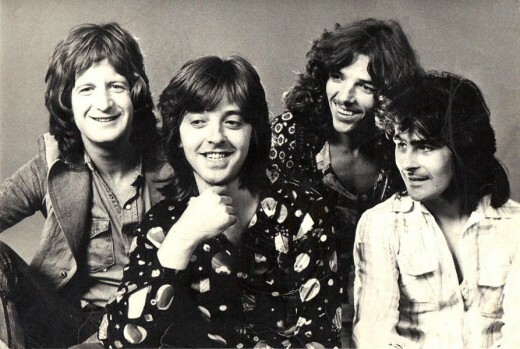 They changed the band name to Badfinger along with Joey Molland joining the group following the departure of Ron Griffiths. 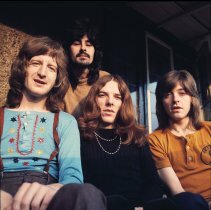 Badfinger had four consecutive worldwide hits from 1970 to 1972: "Come and Get It" (written and produced by Paul McCartney), "No Matter What", "Day After Day", and "Baby Blue". The Ham/Evans-penned Badfinger song "Without You" became a Billboard number one hit for Harry Nilsson. In 1970, the band engaged American businessman Stan Polley to manage their commercial affairs. 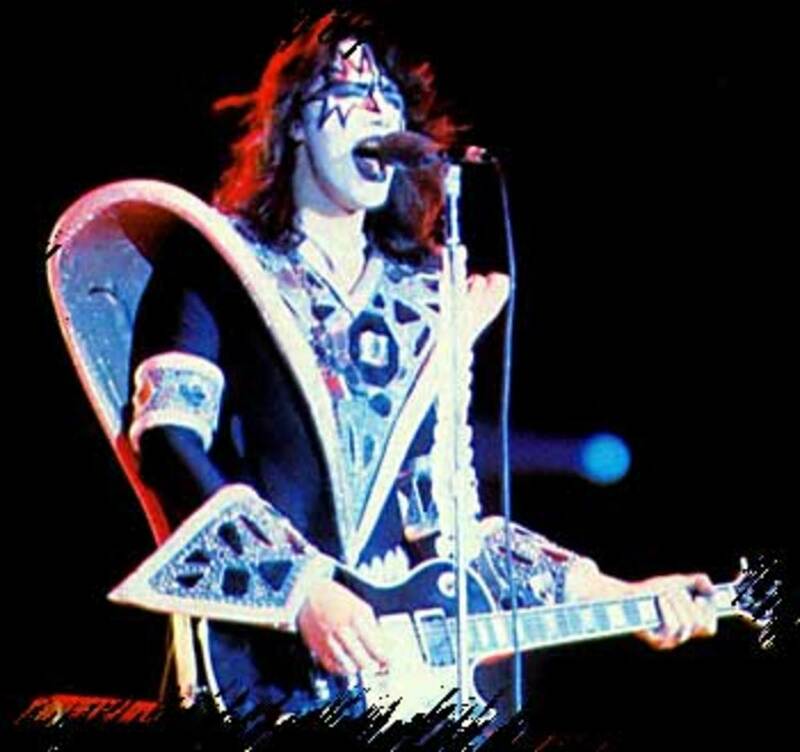 Over the next five years the band recorded several albums for Apple and toured extensively, but became embroiled in the chaos of Apple Records' dissolution. They signed to Warner Bros., but Polley's financial machinations resulted in a lawsuit by Warner Bros., over missing escrow account money. Warner's consequent withdrawal from market of the 1974 album, Wish You Were Here (seven weeks after its release), cut off the band's income. Three days before his 28th birthday, on 24 April 1975, Ham committed suicide by hanging himself, leaving a note that included damning comments about Polley. The next three years saw surviving members trying to rebuild their personal and professional lives against a backdrop of lawsuits. The albums Airwaves (1978) and Say No More (1981) floundered, as Molland and Evans see-sawed between cooperation and struggle in attempts to revive and capitalise on the Badfinger legacy. Having seen Ham's body after Ham's wife had called him, Evans reportedly never got over his friend's suicide, and was quoted as saying in darker moments, "I wanna be where he is." On 19 November 1983, Evans also took his own life by hanging. 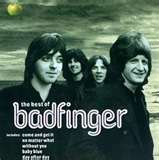 Badfinger was a band from Swansea, Wales and was truly legendary. When I first heard "Come And Get It" I thought it was the Beatles, Paul did sing on it. The Beatles version is on the Anthology cd's, btw.